Price is the subject most homeowners approach with trepidation. Almost everyone I meet with wants to try to price a little high so they have room to negotiate. I can not stress enough the dangers of pricing high and holding. Price is the number one reason homes expire without selling. The longer a home is on the market, it becomes “old news” and buyers believe there must be something wrong with the home, or the seller is desperate, which results in lower offers and more seller concessions. I have written about this subject before, so won’t bore you with the same old news about pricing. 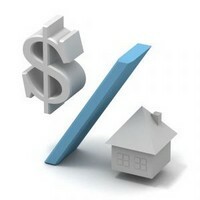 Many people believe if the home sales too quickly, it must have been priced too low. The truth is, if you get activity, as in buyers coming through your home, the home is priced correctly and months on the market is actually money lost. When there is no activity and all other factors are in line, we have to look at the price. There are other factors which affect price, such as the amount of foreclosures, bank owned and short sale properties within the neighborhood. I have seen several neighborhoods where the only sales are distressed sales. A large part of my expertise is determining market value, so a home listed does not languish on the market. Admittedly, sometimes, there are not enough comps to determine an exact price range. It is then, we must make an intelligent decision to reduce the price in a timely manner.